Sleep, Eat and Play with Mountain Views. 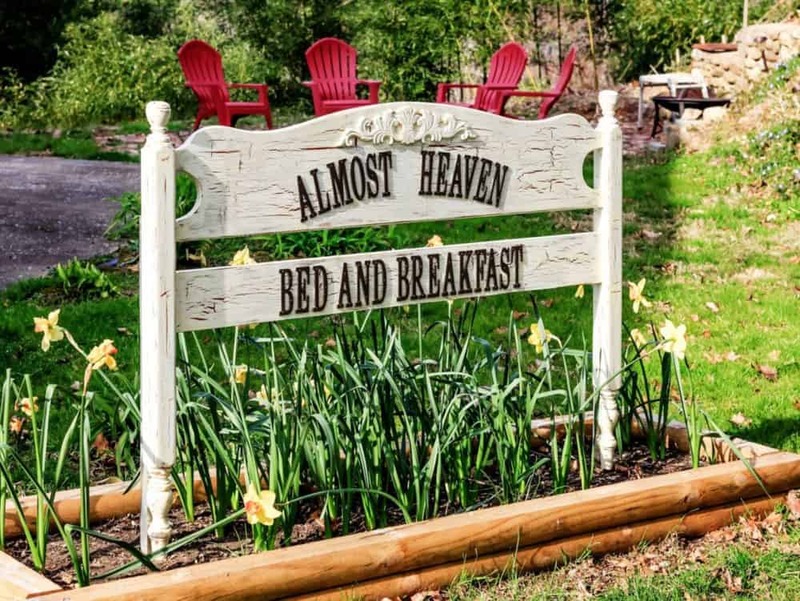 Almost Heaven Bed and Breakfast is located in beautiful Waynesville, NC. Our town is packed with unique stores, boutiques, restaurants, art galleries, antique stores and more all within a few blocks of our bed and breakfast. Our house, built in 1927 is filled with antiques and retains much of the original paneled wainscotting, french doors, heart of pine floors and fireplaces. It is one of the closest bed and breakfasts to Main street, but offers lots of privacy in a quiet setting. Come stay at our historic house where several famous “singing cowboys” of the 30’s and 40’s have stayed. Enjoy our 3 course country gourmet breakfast at our bistro table among the flowers or out on the deck while taking in the elevated mountain views. Come see why we believe our home is “Almost Heaven”!